Boston Immanuel Church has planned and prayed for the local pre-Pentecost gathering. The retreat will be held as a Romans mini-retreat for two days on May 11-12. The retreat will cover the message of Romans 1-3 about sin and salvation through Jesus Christ and include one prayer meeting on Saturday evening and following Sunday service. 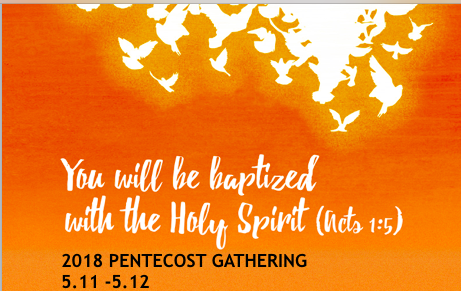 The church will also join the regional Pentecost retreat in NYC on May 20 and hopes this retreat can ignite our hearts for the work of the Holy Spirit through the Word and prayers.